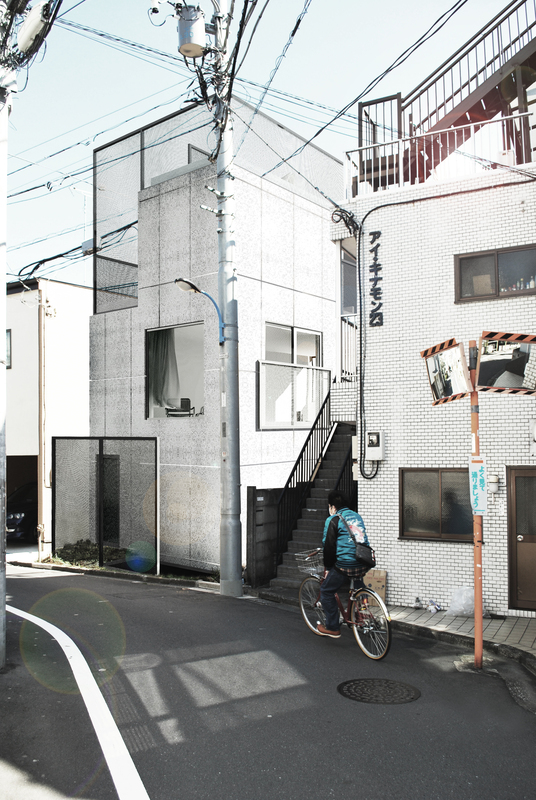 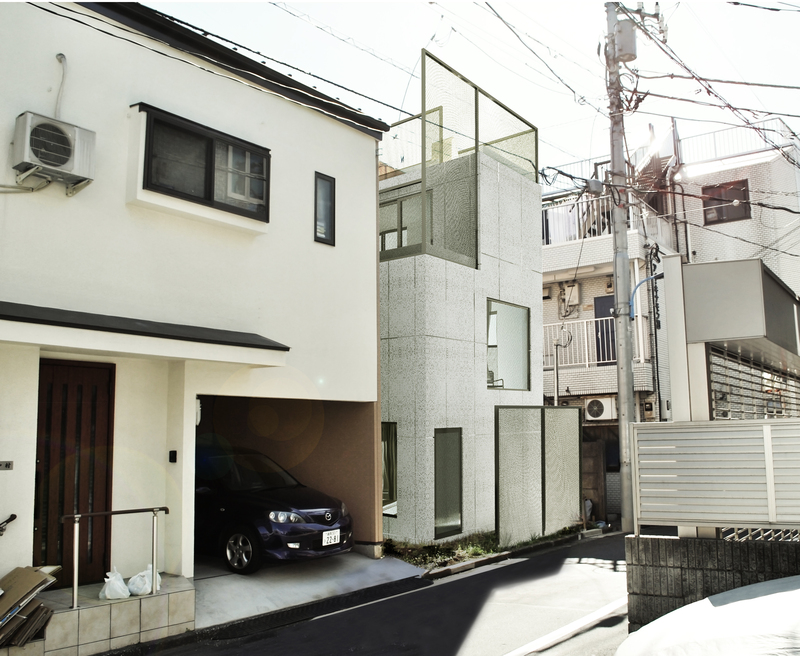 A 4 story house to be built on an extremely small parcel of land in Nishi-Shinjuku. 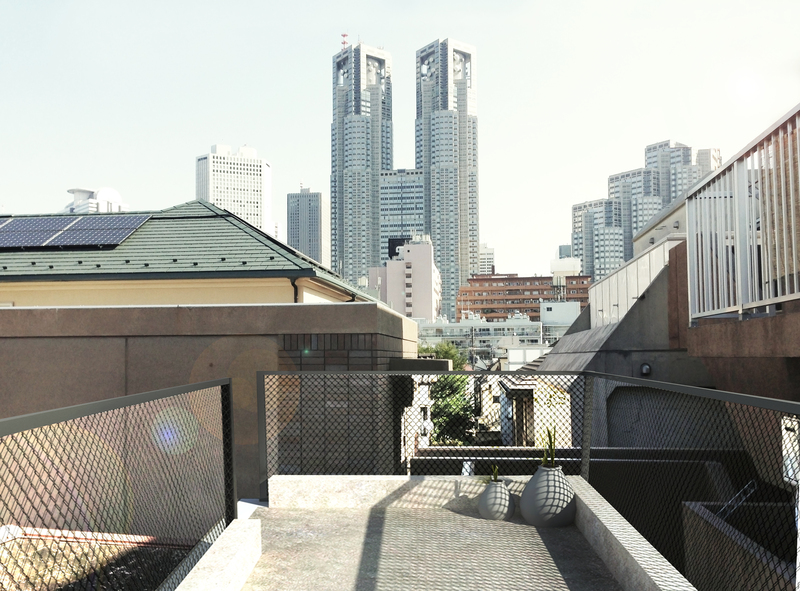 The basement is a sound-proof music studio, and master bedroom takes the topmost floor. 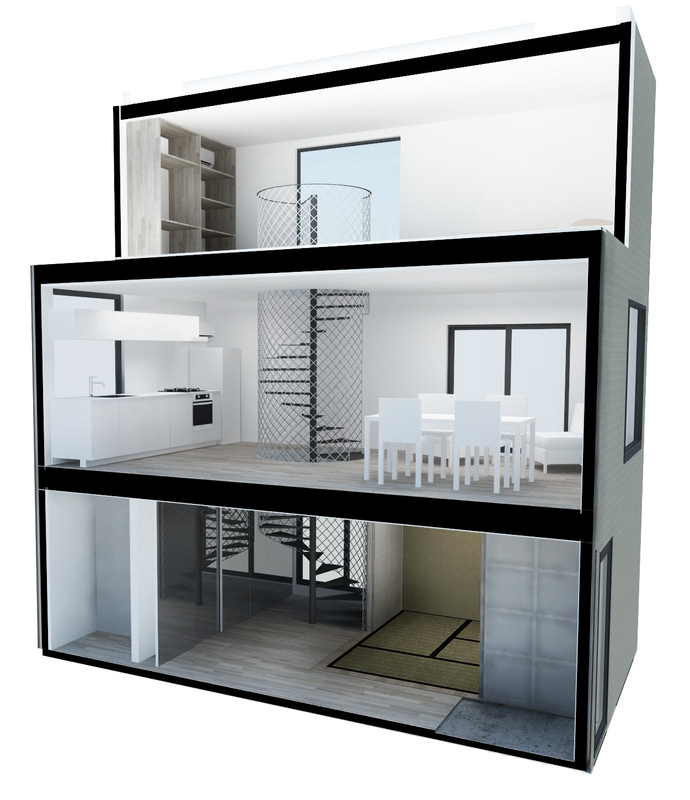 Each floor is treated as a single open room, connected by a minimal stairway built from a steel mesh cage.